Boston is one of the undisputed capitals of Irish America, and Southie is the Irish capital of Boston. Thousands put on some green and a shamrock, and head to South Boston to celebrate Irish heritage (whether they have it or not). The day kicks off with a time-honored traditional breakfast where politicians sing limericks roasting their peers and opponents, setting the jovial stage for one of the largest St Patrick’s Day parades in the US, complete with floats, marching bagpipers and, of course, waving politicians. Pubs along the route and throughout Boston overflow with green beer and ample merrymaking. Be sure to check out our list of other St. Patrick’s Day Events in Boston, keep our list of the best Irish pubs in Boston handy, and peruse our list of the best burgers in Boston for a place to soak up all that beer afterwards. 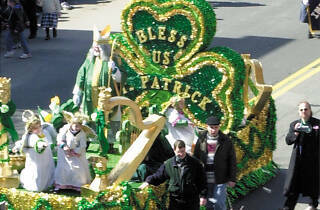 When is the St. Patrick's Day Parade? Sunday, March 17, 2019 at 1pm. 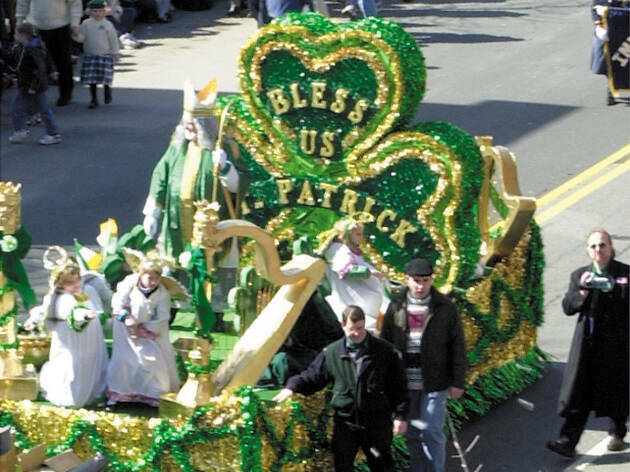 Where is the St. Patrick's Day Parade? The parade takes place in South Boston. It starts at West Broadway and Dorchester Ave, continues along West Broadway to East Broadway, then turns and heads back west, ending on Dorchester Ave.
*Will it be cold or warm? Whatever you wear, don’t forget your green! *Alcohol is not allowed along the route. Keep it in the bars. *Take the T. With multiple street closures, trying to drive and park anywhere near the route will only lead to frustration.